Good day. Do you enjoy the Volkswagen Corrado? I do too. Interesting car, still looks pretty good, and I’m always kind of delighted when I see one on the road today. But would you pay $37,000 for one right now? Of course you would not, probably. But inexplicably that’s what this 1995 Corrado, with a low but not that low number of miles on the odometer, is selling for at Classic Driver. To which I must reply: Fwaaaah? A little background if you need it: the Corrado was the replacement for the mighty Scirocco sport hatch, made from 1988 to 1995. It could be had with a couple of interesting engines, including the venerable VR6 six-cylinder (RIP, it is missed) and the interesting G60 supercharged four. This one has the VR6. Without question, the Corrado is a vehicle that deserves praise: a high-tech, super aerodynamic hot hatch with impeccable handling, even if its relatively high price tag for its time kept it from being a mass-market hit. Then again, it was never meant to be, but it’s fair to say the Corrado had some decent sports car or sport coupe competition in the early 1990s. A better time, kids. This one is admittedly a very clean example with 63,000 km (it’s in Canada) or 41,000 miles on the clock. Again, it’s a well-maintained and interesting old VW! But have Corrados reached the kind of collector status where they can command nearly $40,000? Will they ever? I think not. The original owner sold it to the second owner in 1998 who owned it until now. A glorious 17 year ownership comes with documents to prove the 67,000km this car has covered. OK, great, but I can pick up a Golf R for that much, and it includes a warranty, which I will almost certainly want. One of very few car to make through the Mk2 conversion frenzy which left many Corrado’s stolen or salvage and the last year of production this may be one of the finest left worldwide. Recent conditioning of the vehicle includes new tires, H&R Springs, oil and filter service and refinish of the front clip and rear bumper cover. A truly astounding and unmolested example of the most legendary front driver the world has ever known! “The most legendary front driver the world has ever known”? Honey, no. 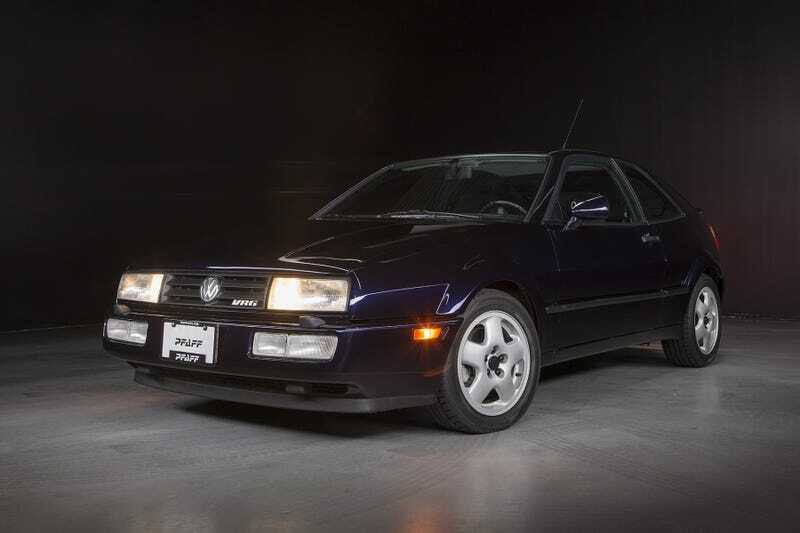 The Corrado was good—underrated, great, even!—but that’s hyperbole going way too far. Don’t get me wrong, I love hyperbole and the Corrado, but I legitimately don’t think this car is in the same league as the true greatest front-drive cars ever: the original Mini, the Citroën DS, the Integra Type R, the Chevy Cobalt SS. Am I missing something here? Is this used but clean Corrado worthy of modern superhatch money? Has the car finally gotten to that point, or is this dealer delusional? Help me out. I don’t get it. For $3,000, Could You See Wagoning In This 1993 VW Passat GLX VR6?